There’s never a shortage of potential stories on social welfare organizations, the 501(c)(4) tax-exempt entities that have captured the imagination of the American public as the purveyors of “dark money” to political campaigns. Ostensibly, (c)(4)s have to devote more than half of their program activities (presumably measured by expenditures) on social welfare, whatever that might mean, rather than electoral advocacy. For most of the new breed of (c)(4)s, the notion that they were created with legitimate social welfare functions lodged anywhere in their organizational DNA is far-fetched, but the fiction persists that groups such as Karl Rove’s Crossroads GPS were established with a modicum of social welfare mission and intention. 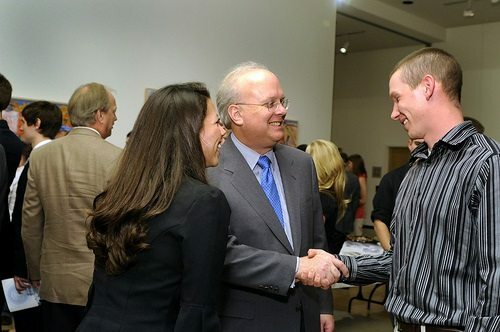 Rove has some legal hurdles to navigate at the moment in order to meet the less-than-half political benchmark of his organization. In 2012, Crossroads claims that it spent $74.5 million of its budget taking positions for or against specific political candidates. However, on top of that amount, Crossroads donated another $11.2 million to Grover Norquist’s Americans for Tax Reform (ATR), which now admits that it used the money for political activities. That makes the Crossroads GPS political expenditure for 2012 at least $85.7 million. At a minimum, the financial report filed by Crossroads turns out to be inaccurate to a degree of millions, an inadvertent error. However, another explanation could be that Rove and his colleagues at Crossroads simply—intentionally—misrepresented the Crossroads political expenditures. ATR’s use of the Crossroads grant was basically for media buys, in which ATR attacked Democratic candidates and kid-gloved Republicans, clearly fitting into the category of expenditures for or against candidates for public office. If Crossroads’ misstatement in its filings with the Internal Revenue Service turns out to have been intentional, it would be perjury. Crossroads is not, however, the only dark money group peering over the edge of what might violate legal limitations. In Wisconsin, there is something akin to a grand jury investigation (called “John Doe” investigations in the Badger State) looking into the activities of some dark money groups that might have spent moneys to support Governor Scott Walker, either during his 2010 election or when he faced a recall two years later. Because, like grand juries, the John Doe investigation is secret, various Wisconsin reporters are digging away at what might be going on, with speculation centering on possible illegal coordination between the 501(c)(4) entities and the Walker campaign, something which isn’t supposed to occur concerning their purportedly “independent expenditures.” Among the (c)(4)s identified as targets are the Republican Governors Association, the Club for Growth, and David Koch’s Americans for Prosperity. The special investigator leading the John Doe is apparently a Republican lawyer, which probably causes the backers of the (c)(4)s and the Walker campaign some agita. However, a total of $137.5 million was reportedly spent in the various recall campaigns (directed at Walker and a few state senators), most of it from out-of-state donors, with interests for and against Walker. John Doe might be productively engaged in Wisconsin for quite some time tracking down external funding interventions in Wisconsin state elections. For the 2014 electoral cycle, the Center for Responsive Politics suggests that liberal dark money groups are taking the lead, accounting for 70 percent of the dark money expenditures spent so far in 2013.